Hey there! 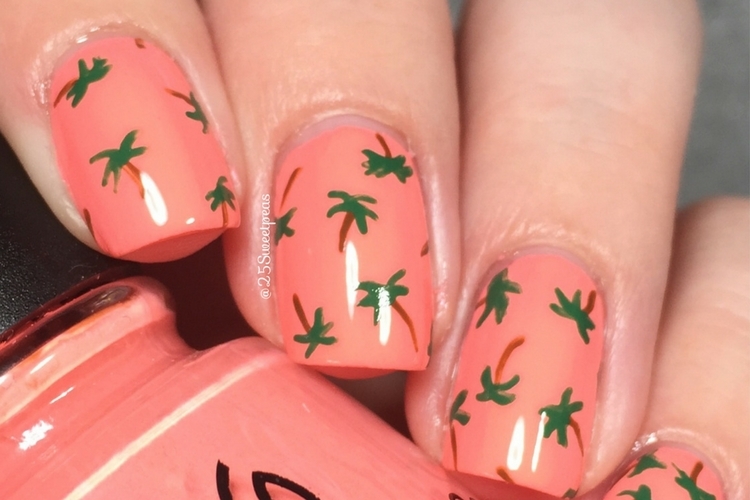 So I pulled a typical me and somehow ended up doing a tropical mani of course! :) How could I let a week go by without one right!? :) So lets take a look at these and check out the inspiration! So of course soon as I came across a palm tree thing I had to do it! So I started this with 2 coat of China Glaze Petal to the Metal. Which is one of my favorite CG polishes. Also side note... Anyone else so excited about that collection they have been teasing!? Its looks so happy! Here is a look at the inspiration! My color of my nails appear to be a bit brighter but its the same colors family! So this design is off of a post card designed by Idlewildco which I found via Pinterest! So I looked more into the company and found out that she is Florida Based and actually not far which is cool! You can check out her shop here, and Instagram here. So as I was going into my room a moment a go to check a polish nail I passed a book shelf and realized I have a notebook that basically has the same pattern on it but its base color is yellow so I am glad I went with this color combo instead for sure! Although I am liking yellow more, coral always wins! Well that is it for today loves! I hope you have enjoyed this blog post! I gotta go, there is thunder its getting closer so gotta get off the computer! Ya know after you have things get hit by lightning and then ruined you learn you should not have certain electronics going during a storm ! Ekk! Love it Sarah! 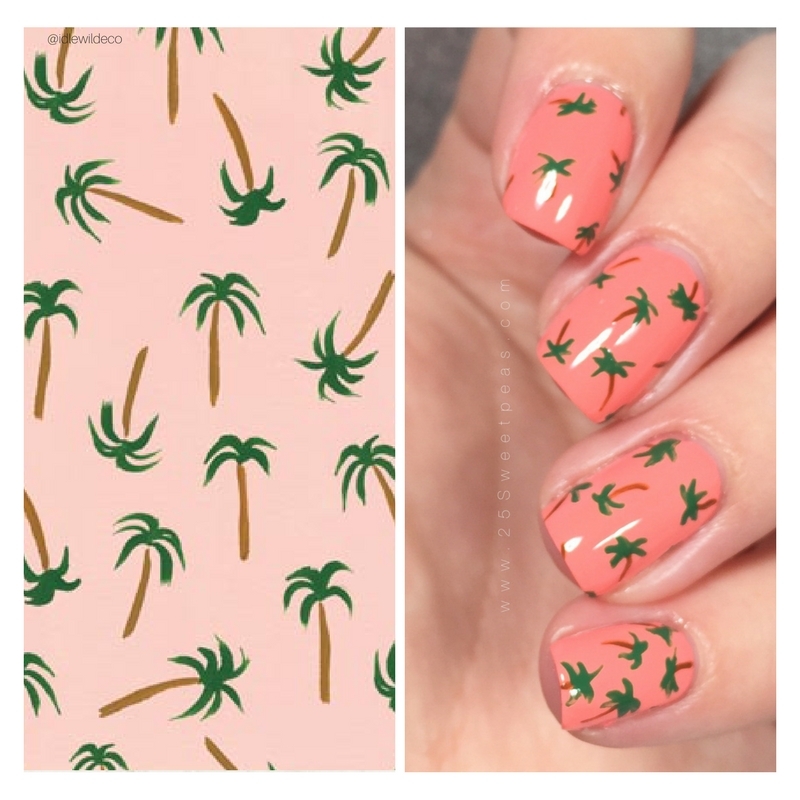 I did palm trees today too! :) Twins! My mani for tomorrow reminds me of you. Thank you! Yay, I can't wait too see! I will have to go look for your palm trees! Fun! I could do with a tropical vacation, lol! Right?! I would LOVE for the sun to come out so we can finally reschedule our island day that was supposed to be on June 2nd! I think I need this pattern on a shirt, I love it! These are adorable, so summery! I want to wear them to the beach! You and me both! Anything palm trees, and the beach!